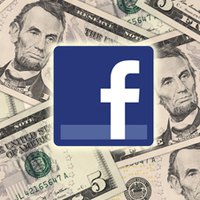 There have been plenty of stories in the news lately about how Facebook is profiting off our private information. That’s why one user decided to take matters into his own hands by putting his Facebook data up for auction on eBay. The user, a U.K.-based writer and developer named Oli Frost, started the bidding at 99 cents. However, it quickly climbed to $400 before his post was shut down a day later. As for why he pulled the stunt, Frost’s explanation was simple: get in on the profit. His only condition was that the buyer couldn’t use the data to steal his identity. “Everyone else’s making money off it, so why shouldn’t I? Sell it to advertisers or whatever you want,” Frost wrote on his blog. The information he wanted to sell included every like, post and comment he’s made since he was 16 years old, plus his interests, friend list, event invites and even his family tree. When eBay told him that he couldn’t sell all this on its platform, he bristled at the suggestion that he didn’t control his own info. “My mistake, I was under the impression I owned my personal data,” Frost wrote. Whether Frost was sincere in his desire to sell his data or not, he certainly proved a point: to companies like Facebook, we are all commodities.